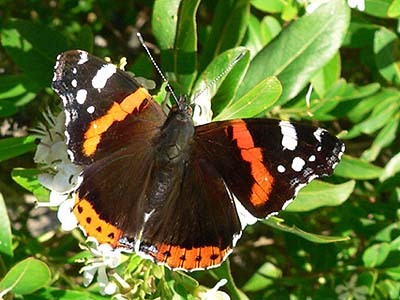 As I pottered around on my plant-crammed balcony today, I spotted several, beautiful, vibrantly-coloured Red Admiral butterflies fluttering around on my hanging baskets. They must have been attracted by the last flush of petals on my mini-daffodils and they were a welcome visitor, I'll tell you. In celebration of these tiny, pretty little visitors, I have finally gotten around to putting my Etain Shrug up on Ravelry for sale. 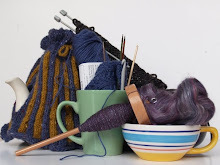 It featured in a long-past issue of Inside Crochet, but as it's well and truly mine again, I thought now would be the opportune time to make it available. So, if you fancy a pretty little butterfly of your own, you now can! It really does look like a little butterfly of a shrug!